Cowboy Coffee Cake, in a word: Yum. And no, you don’t have to be a cowboy to make or enjoy this coffee cake! 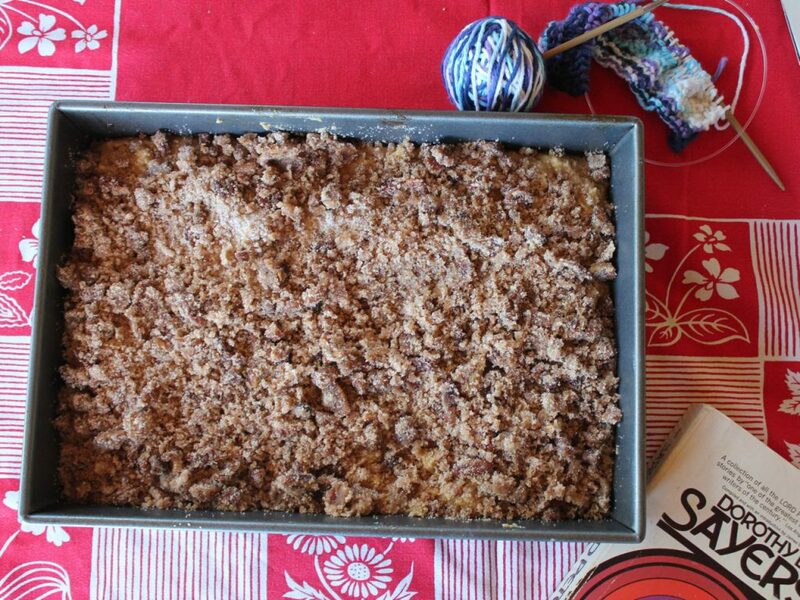 We have a long and delicious history at our house with this particular Cowboy Coffee Cake. This recipe–or a version of it–I originally found in the old red and white checkered Better Homes and Gardens Cookbook, and I started making it for special occasions, when a little more posh was called for at breakfast time: holidays, when company was coming, the last day of school each spring, when the wretched lost gerbil was found, and so forth. It’s a celebratory food, to be sure. It’s one of those recipes for me, Gentle Reader, that I can almost make with my eyes closed. It’s an easy recipe to begin with, and when I’ve made it scores of times, well, it’s nice to have such an easy and satisfying recipe in your arsenal against hunger and cranky family members, isn’t it? Which made it such a shock when it disappeared from the newer editions of the BHG Cookbook–I upgraded and bought myself a new copy, only to find some of my old favorite recipes were missing! *gasp* There is a buttermilk coffeecake recipe that I think is quite close to the original recipe, if not the same one entirely. But does “buttermilk coffeecake” have the same alluring, today’s-a-good-day-for-an-adventure sound as “Cowboy Coffee Cake”? (As if.) No. No, it doesn’t. When I needed a quick coffee break treat to serve the guys working construction on our kitchen, I pulled out my old recipe for Cowboy Coffee Cake. Everybody loves it. It stirs up pretty quick. You can dress it up for fancy occasions, and I nearly always–even in the middle of a kitchen remodel–have all the ingredients for it. Gentle Reader. It’s the perfect recipe. And because I love you all so entirely, I’m sharing my version of this iconic classic with you. There are other versions online (there are versions of everything and their dog online, too, such is the nature of online, don’t you agree?) but I can say with all candor and humility: Mine is the best version, because it contains my updates from a couple of decades (cough) of obsessive tweaking, not to mention some time-tested add-ins. This is the perfect recipe: it's easily dressed up for company, it stirs together quickly, everybody loves it, and I nearly always have everything I need to make it in my kitchen. Perfection! Any of the following can be added to this recipe: 1 cup blueberries, chopped apples, smashed banana, ½ cup toasted coconut, or anything you might like in your coffeecake! Grease and lightly flour one 13 x 9 inch pan or two 8 x 8 inch square pans. In an electric mixer, combine the flours, salt, sugar, honey, butter and cinnamon until crumbly. Stir nuts into ½ cup of this mixture for topping, and set aside. 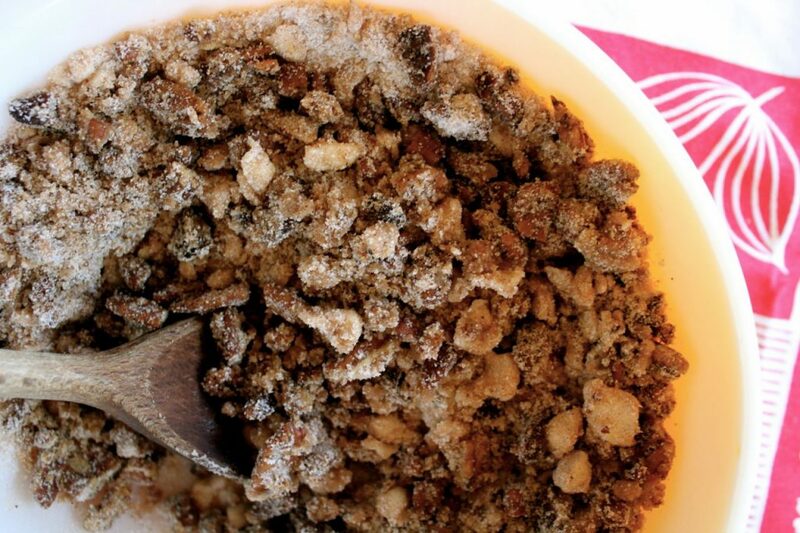 To the remaining crumbs, add the baking powder, baking soda, nutmeg and cloves. Mix together well. Combine the buttermilk and beaten eggs and add to the crumb mixture. Mix well. 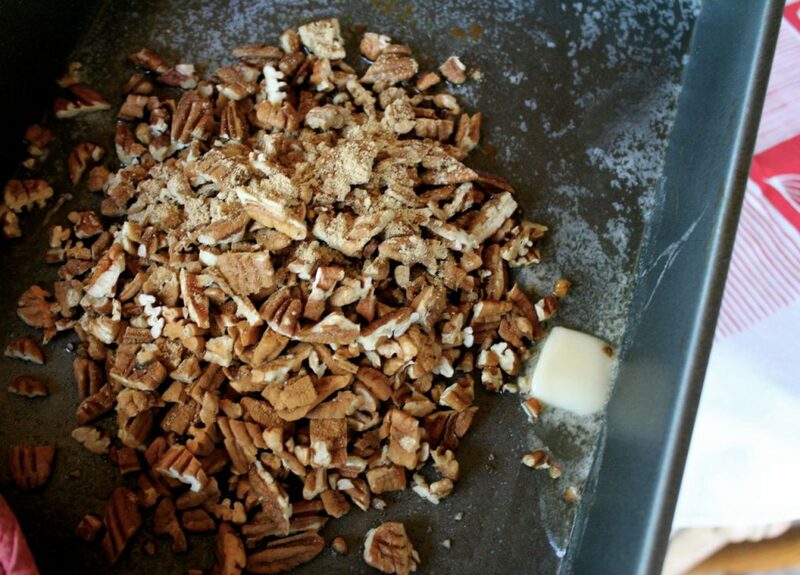 Pour into prepared pan(s) and sprinkle with the reserved crumb and nuts mixture. Bake 25 to 30 minutes (the larger pan may take 35 to 40 minutes, depending on your oven). Allow to cool at least a half hour before slicing. Unless you don't want to (and we never do), in which case: absolutely scrumptious served warm, with a big glass or milk or cup of good coffee. By the way, have you ever wondered about goose eggs? I’m sure many people do. 😉 This is a typical sized goose egg from our goose, Lucy, and it is equivalent to two good-sized chicken eggs. 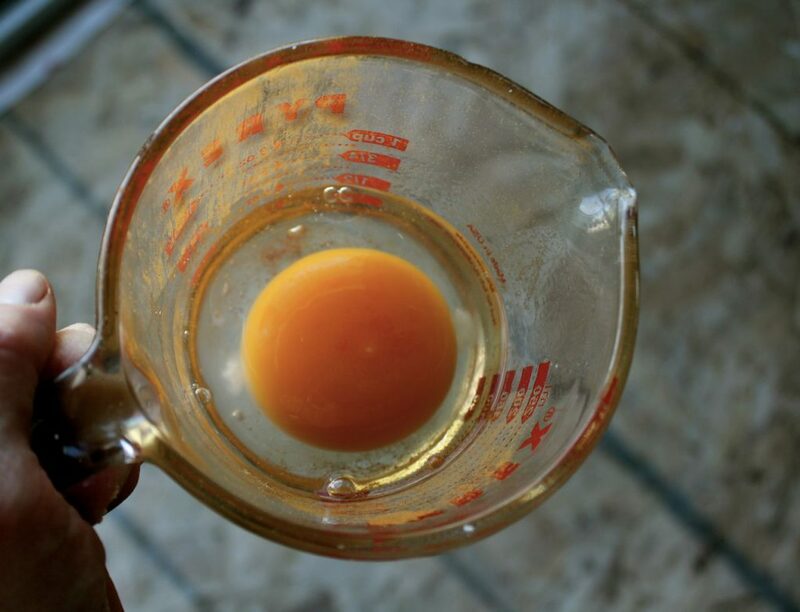 See how big the yolk is? I thought you might enjoy that. That’s it for today. TTFN. See you after while, Crocodile! Great looking recipe. 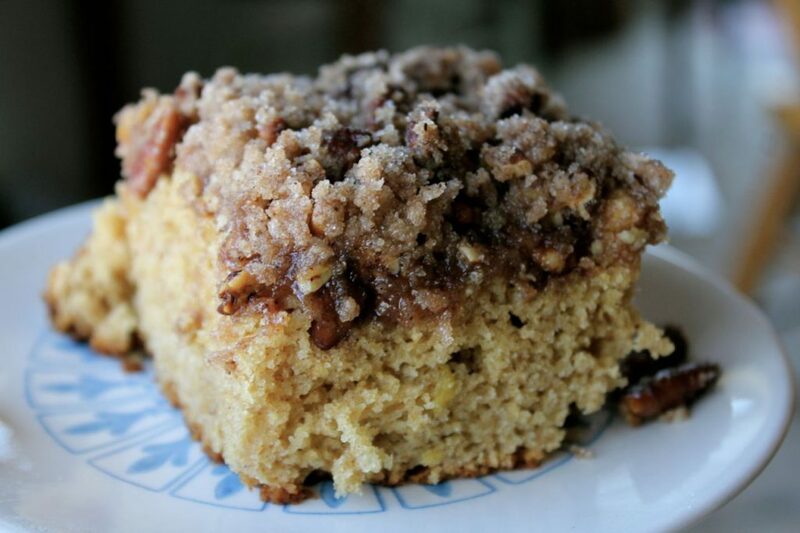 I might rename mine Ranch-hand coffee cake but I will try to make this for a party for sure. I might go a little lighter on the freshly grated nutmeg but that is because in my house I like it hidden in the background with just a hint of flavor. And of course down here we make our own buttermilk via the lemon. No geese but we do have 6 ducks. However my wife and her sisters raise them the same as chickens, to become a special dinner on some holiday, so I leave that be. She did name the baby rooster so he becomes a family member and will be spared the crockpot. Despite the “cows” on the Prairie Farm, there are no “Cowboys” but I’m sure Farmer Coffee Cake will be just as tasty. Ok, tryin’ this in the a.m. You’ve got me sold! I’ll betcha that you’ll love it, Rose. Oh Amy I have the same cookbook. We received it for a shower gift 48 and a half years ago. I have made the coffee cake with blueberries may times. Love that recipe but will try your jazzed up one sounds so good. I used to take it to work for coffee break and it was always a hit! OH I wish I still had that old one. I just used it up! The pages were falling out, stained, etc., but I do hate to toss a good old favorite like that. And I do appreciate your sweet words so much. They are music to my typing fingers, as it were . ..
My cookbook is copyrighted 1976 and still lists Cowboy Coffee Cake. I am trying the original version tonight since I am out of honey and nuts (so sad). I look forward to trying your version. 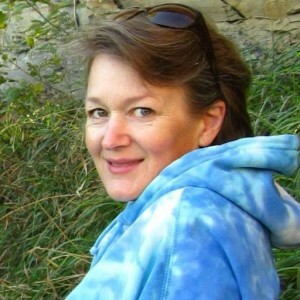 Let me know what you think, Cynthia! My husband bought me a BH&G cook book when we were first married–(I couldn’t boil water without burning it). That was 51 years ago. I still have my moms–(printed in 1944)–Cowboy coffee cake is husbands fav. (It is his birthday cake every year). Will definitely give your version a try. Thank you. You are welcome! My sweet daught just brought me home a brand=new BH&G cookbook, and I sadly retired my old copy that i had been using for 35+ years. There were pages missing and several pages were difficult to read because of grease spills, etc. 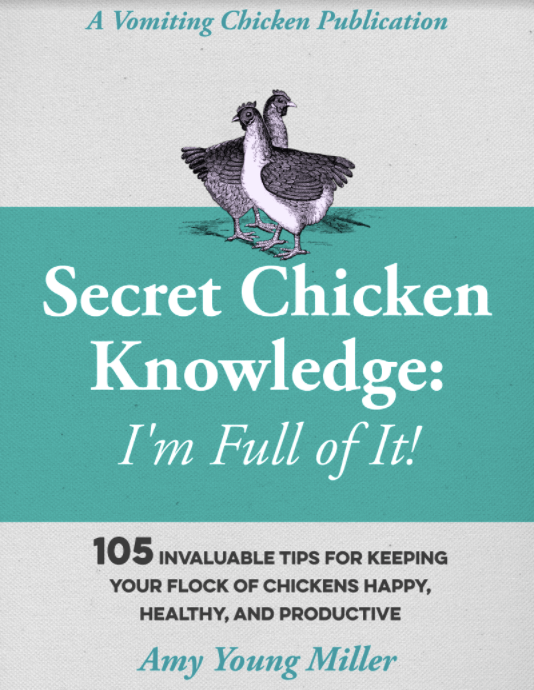 That is a great cookbook! Glad to meet another devotee of the Cowboy coffee cake! I have my Grandmother’s BHG cookbook and it’s fairly disintegrated by now. In college I used to make Cowboy Coffee Cake because as you said, the ingredients are almost always in the kitchen. This morning I wanted to make something for my sick neighbor who loves sweets so I went to the cookbook and the page was…GONE! So thank you for posting the recipe, I’m looking forward to the Cowboy Cake coming out of the oven in 11 minutes. Olive, see—that’s exactly what happened to me! I’m glad I’m not the only one who uses her favorite cookbooks to the point of disintegration! I have the ’76 version of the BH&G cookbook and “cowboy coffee cake” is still in it. This is a “secret” recipe that my mom made every Weekend (like her chicken soup) while I was growing up. When I got married 20 something years ago, she gifted this cookbook to me and to my surprise…..there was her “secret” coffee cake recipe! My mom has since passed but I make this for each special gathering like book club, bible study or Tuesday and it’s still a favorite. I too, toast the nuts and toss them in a cinnamon sugar mixture. I also add the tiniest pinch of mace along with the nutmeg…absolutely wonderful with coffee, cold milk or vanilla ice cream. Yum, yum!! Nice to meet another devotee to that recipe and that cookbook! Just love it! Have you ever tried making muffins with that recipe? Thank you for the recipe! My husband and I ran a High Sierra Camp in Sequoia Nat’l Park for 3 summers in the early 1980’s. We served our guests dinner and breakfast and Cowboy Coffee cake was on the menu very, very often in the morning as it was so well loved. Now that I have found the recipe, I will be making it for us in the next couple of days. Thanks for taking us back to one of the best times of our lives…..! Yaaay! Did you have good luck with the recipe?